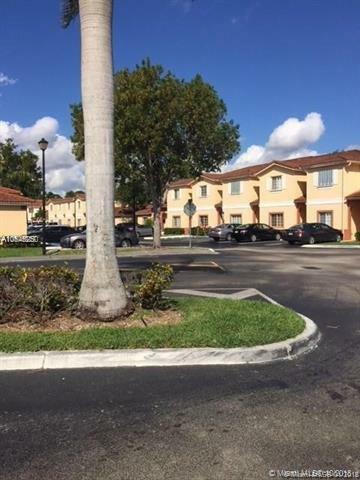 Lovely home centrally located in the heart of Kendall, 3/2.5 near shopping center and major highways. This condo Townhome can be financed with as little as 5% down. The property is well kept and clean, it's sold in as is condition. The living/dining great room is separate from the kitchen family room area. There is ceramic tile on the first floor and laminate wood flooring on staircase and entire second floor. The 3 bedrooms and two full baths are on the second floor. Property shows well and is in move in ready condition.